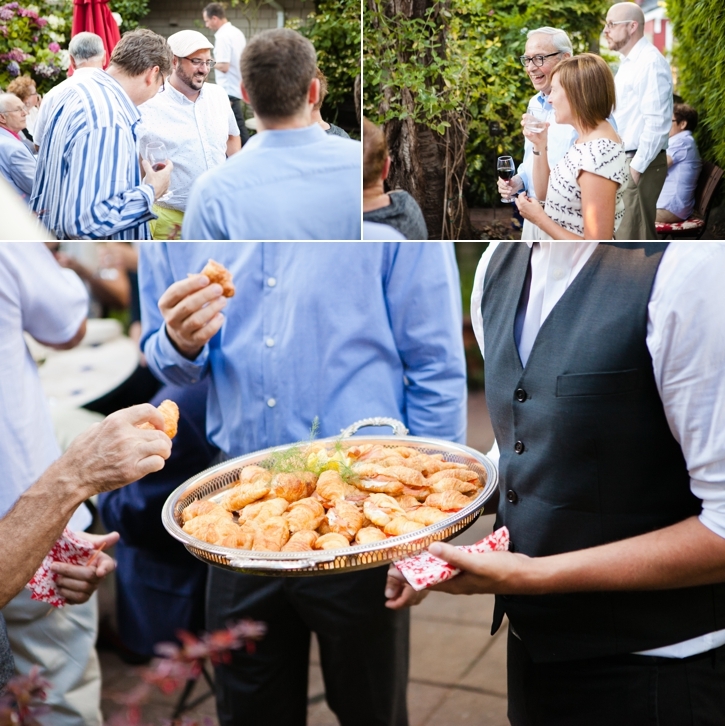 At the end of last summer, I was given a rare, wonderful opportunity. 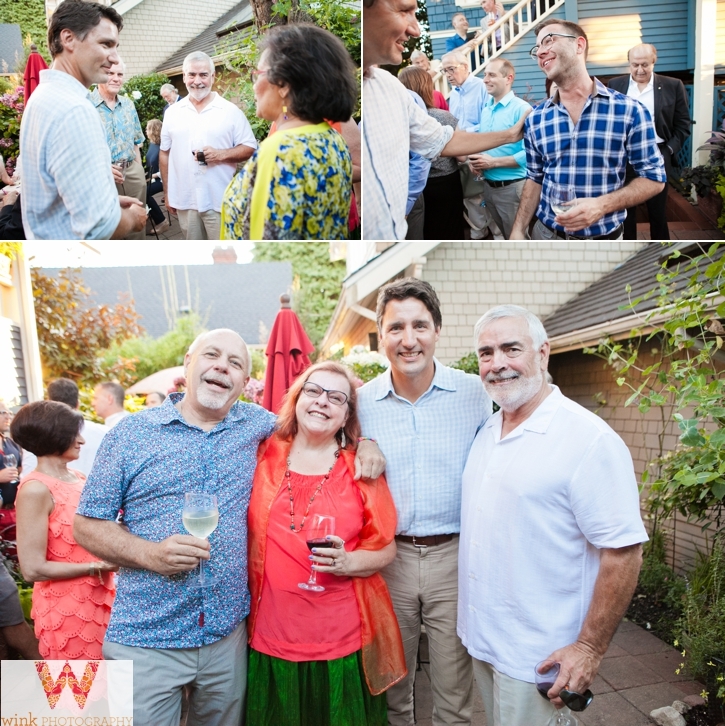 I was hired to photograph a Liberal Party event hosted by Vancouver Centre MP Hedy Fry. 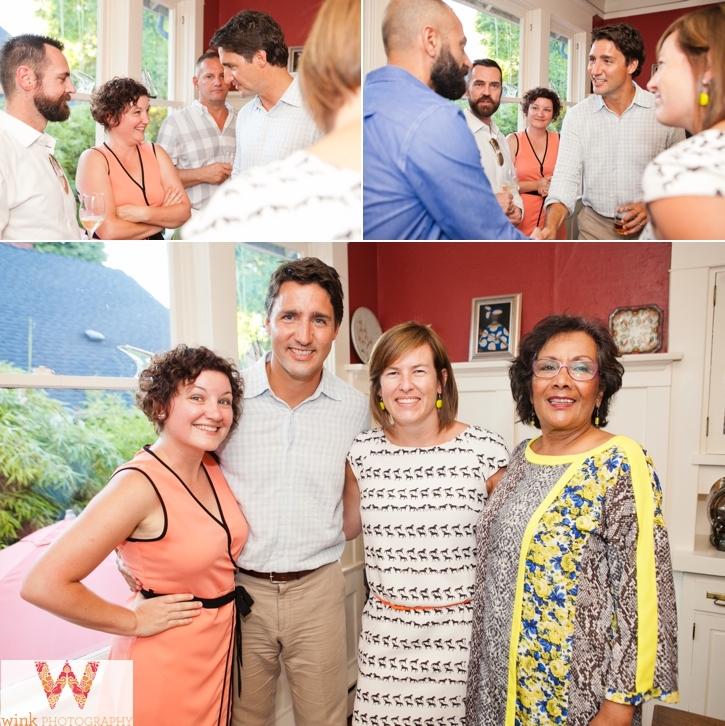 It was an intimate event hosted in her home, a meet & greet with then Liberal Party leader Justin Trudeau. The energy & excitement in the room before he arrived was palpable. 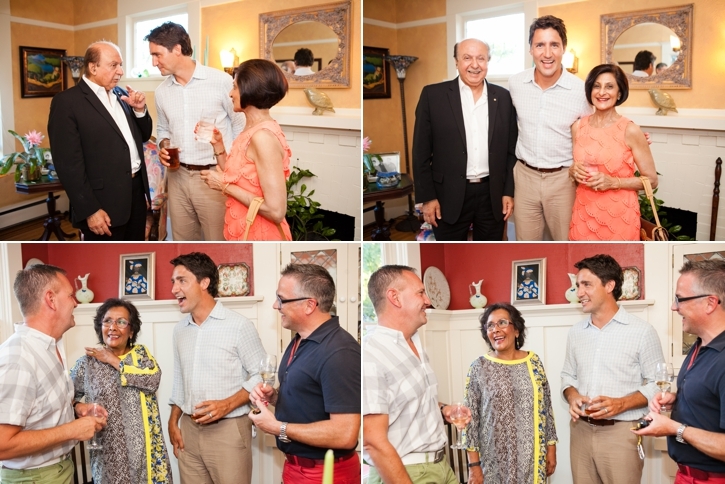 The guests had such confidence in him becoming the Prime Minister, as if they knew they’d be able to always say, “I knew him back when…”. 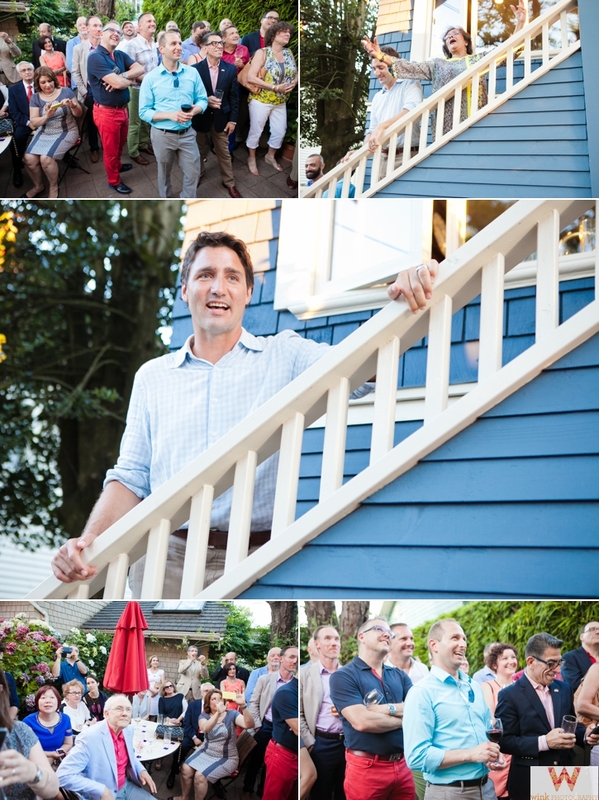 I usually try to remain unobtrusive when photographing an event like this, but the moment Mr Trudeau walked in, he took me aside to say hello and jokingly apologized for having to just follow him around all evening. He was surprised when I mentioned we’d actually met before, over 15 years ago, but I’m sure public figures hear that all the time. I went on to explain that he had been my younger sister’s middle school teacher and he looked closely at me, trying to connect family resemblance. He immediately remembered that her name started with a B, and that she always had dyed pink or black hair. He spent the next 5 minutes with me asking how she was doing. He remembered knowing that she wasn’t like the others, and that her self-expression was a healthy outlet for a teenager even if it was troubling to some adults. He genuinely wanted to know what became of her, and was thrilled to hear that she has her own happy family now. All of this while a buzzing cocktail party in his honour was going on around us. 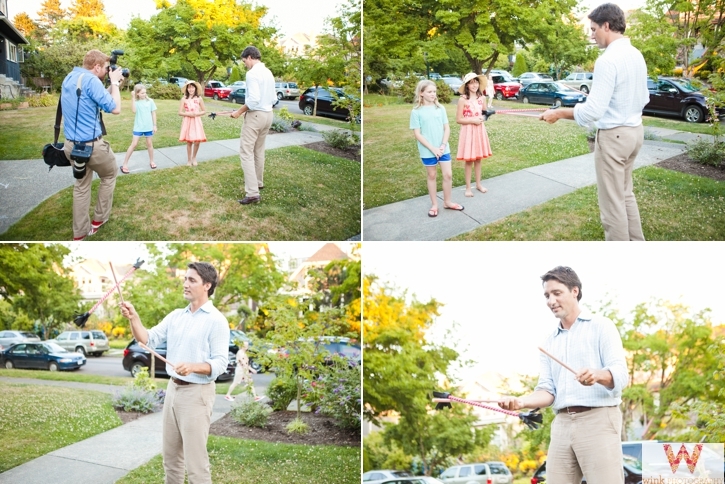 Regardless of politics, I feel confident knowing that we have a Prime Minister who really listens, analyzes, and cares about people. To be in the middle of chaos and yet have you feel like the most important person in the room at that moment is a valuable quality for anyone, not just a Prime Minister. It’s nice to know there’s a thoughtful human about to make the huge decisions that impact all of our lives. 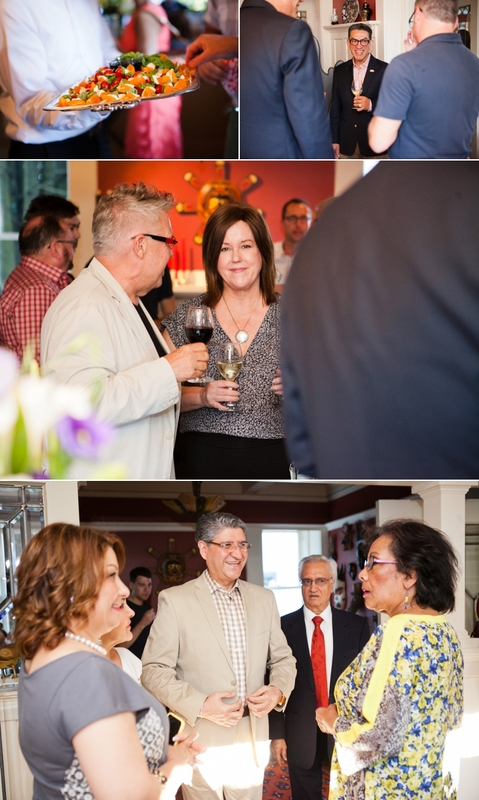 But I digress, here are some photos from that night! Later in the evening Hedy Fry said a few words, and the party turned their attention to the stairs. 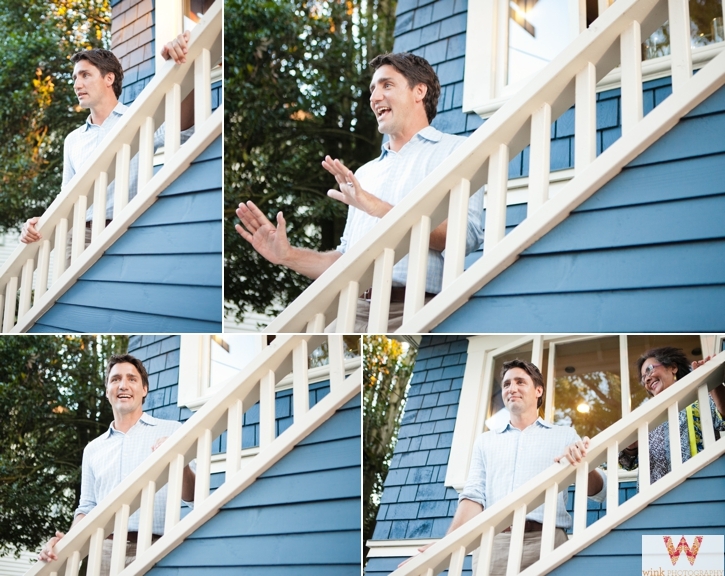 Justin Trudeau made a simple, yet incredibly impactful speech to a group clinging to every word. Just like what followed in the rest of the campaign, it was a strong and hopeful message about his goals for the future of the country. 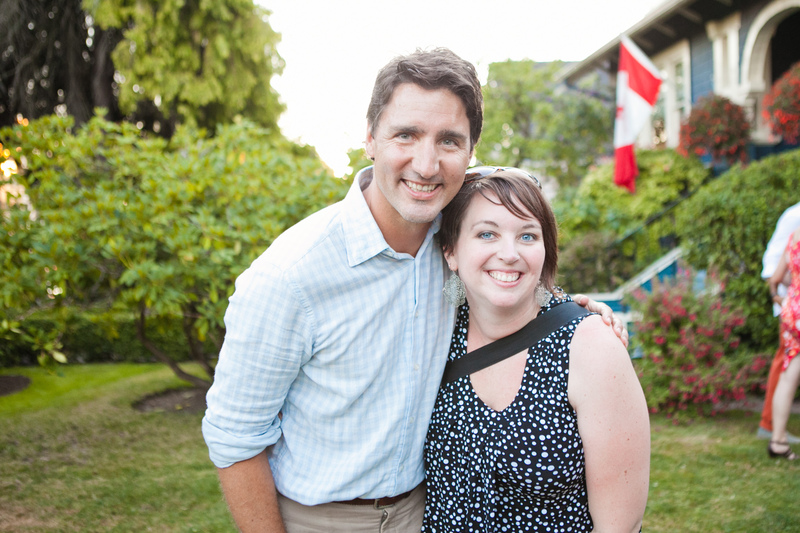 We said goodbye, and Mr Trudeau reminded me I hadn’t had my photo taken yet. The tables were turned.